Anyone who opts for self-employment quickly learns that succeeding as your own boss is no walk in the park. While professional freedom has many, many joys, it also involves significant risks. 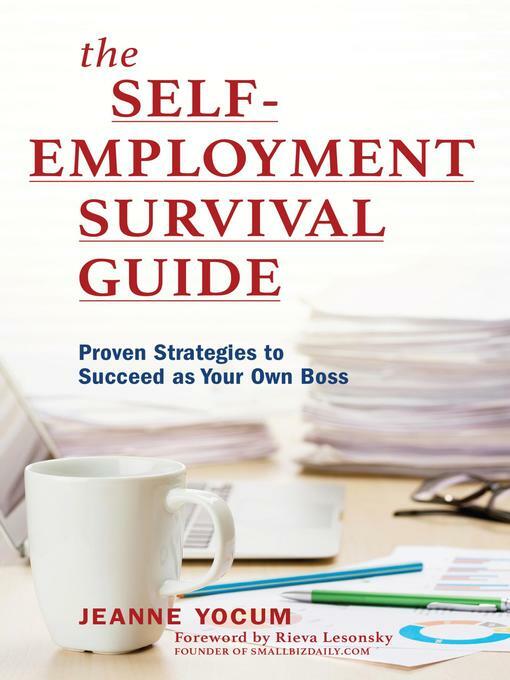 If you're considering self-employment, or you're already self-employed, The Self-Employment Survival Guide: Proven Strategies to Succeed as Your Own Boss alerts you to the challenges involved and provides proven strategies for surmounting these obstacles and succeeding. You'll also learn what you need to put in place before taking the leap to being your own boss to help assure your success. Working for yourself offers personal freedoms and rewards, but the road can curve or travel uphill at times. Here, Jeanne Yocum shares eight key behaviors that impede success and provides proven solutions for the various obstacles that might cross your path, including unreasonable client demands, slow payers, unexpected client defections, daily schedules, health and financial planning, and the feelings of isolation that can sometimes accompany working on your own. Unlike many books that provide only a rose-colored view of self-employment, this book gives a full, realistic view of what being your own boss is actually like. By learning about the ups and downs that come with being in charge of your own livelihood, you will be better able to handle the demands of self-employment and succeed on your own terms.